Massive Emulator II-derived sample-and-synthesis machine in the style of the Roland D50 • Emulator grit and heft; synthesiser scope and scale • X-Mod and comprehensive performance control allow for dynamic, expressive, shifting timbres • Graft sampled Attack waves to synthesised (or sampled!) Sustain waves for complex, rewarding patches… or use the Glitch control for instant new sounds • Over 90 factory patches included: 1.32Gb of authentic EII samples! 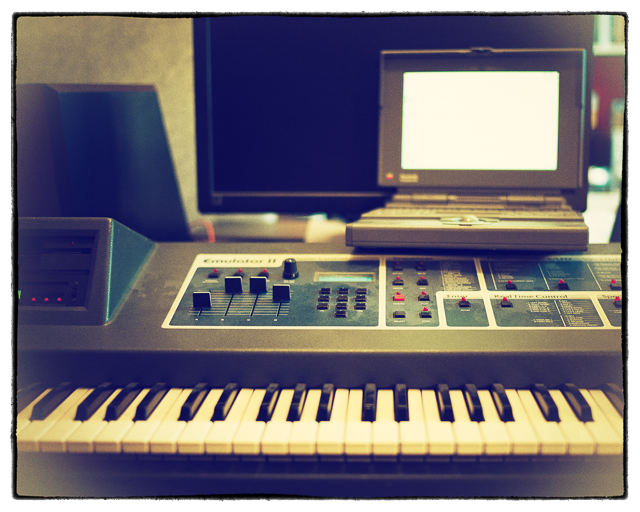 Of course, the Emulator II did have some synthesiser-type capabilities: that awesome analogue filter, to name just one. But the dots didn’t really join up into something that you could use to create sounds from scratch. Enter the Synthulator, which is at its heart a very simple idea indeed: use the Emulator II as the basis of a sample-and-synth creation in the mould of the Roland D50. (All our Kontakt instruments require a full copy of Native Instruments Kontakt v4.2.3 or higher (including all versions of Kontakt 5). Kontakt Player is not supported: instruments will load, but will time out after 15 minutes. See the FAQ for further information.) You can read more about the original hardware E-Mu Emulator II here. As I suspected it would be, Synthulator is a gem. There are so many sounds in here that seem to come from somewhere deep in the caverns of the unconscious. Of course, growing up in the 1980s probably helps. But so much of this sound is woven into our cyclic sonic worldview now that I suspect this feeling is universal. Synthulator includes the coveted glitch/rnd button, which allows for some truly haunting and unexpected sounds. An indispensible tool for the kit, at this price. It is not the real Emu Libairy, this is complete different. The Plugin captured the sound and the feel of the Emu Systems, but you get different types of presets with every single click. The sound has that magic 80s feel to it. Buy it, you won’t regret it. OMG, OMD and Depeche Mode without the floppy disks and pesky load times. Love the sound. This has an fm sound with a warm analog feel. Love the 80s sound. This has an fm sound with a warm analog feel. A clean yet warm and vintage-sounding UFO with many presets from which to choose. Time and effort are to be spent on it to come up with your own original settings, but the possibilities seem almost endless – so yes, if you’re into 80s electronic sounds, definitely consider this one! Is fantastic how every sound here has the specific character of the EII. Even the oddest hybrid patch has the tipical musicality and solidity of this great sampler. And for me is a big surprise to find also a sample of the wurlitzer theatre organ.. with an 80s twist! Rhythmic Robot Synthulator is the real deal. Rarely does one find a virtual instrument so inspiring. The grit of a vintage sampler and the flexibility of Kontakt implementation combine to provide a singular sonic experience for the performer and the listener. Don’t miss out on this. Recently bought the Synthulator… after only a few hours of exploring it and basically just messing around and having fun, I can already say that it is pure magic. It’s something special when you come across a new instrument that is so inspiring that you almost wonder what the hell you were doing with your song writing/sound design pursuits beforehand! I can’t imagine moving forward without this sonic gem in my arsenal lol!! My favorite aspect of the Synthulator is the fact the Professor (and Mongo!) cared enough about the details and actually “imprinted” the sound of the EII’s grit and weight onto the sustain waveforms. This is what makes it all work imho and truly makes me feel as if I’m creating with an actual Emulator II but in a whole new magical synthesized way. BRILLIANT! Thank you Rhythmic Robot!!!! I can’t wait to try out all the other special gadgets and wonders you have to offer!! I”ve been looking for something this unique for a while!! I no longer have to search for THAT sound. Synthulator for Kontakt that’s become an inevitable sound bank in my compositions. The sampling is a perfect success of what they can achieve. I speak of course of The Professor (and Mongo). I can not help saying: Buy Synthulator. You will never be disappointed. And long live of the 80s. Thanks for your job! 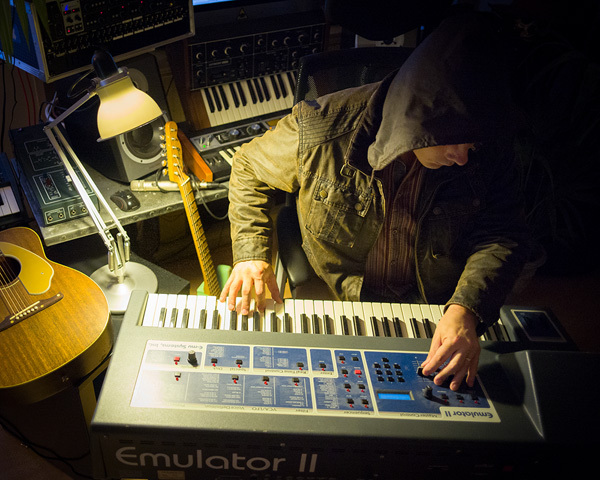 Lovely idea – taking the sampled sounds of the legendary Emulator II and bringing a full synth engine to bear on them. The possibilities are probably endless – I haven’t had the time yet to explore fully. Glitch makes it easy to find starting points for new sounds and the effects are the usual excellent array from RR. I will be using this synth for a long time to come. If you’re looking for something extremely stereo-wide, to make your newly started EDM career go off, this is not for you. On the other hand, if you’re looking for sounds with true character and grit, adding warm, slightly off key dimensions to your music, this is a must have. The sonics of this can’t be found with any other developer, and with some creative effects added on top, you can get modern sounds, with that classic vibe intact. 5 stars for both this product, and the company in general. Been thinking of working on that concept album you put aside thirty years ago? Want to get your Foreigner on? Ready to make your Hearts of Space tape? Want to invent new soundtracks to those eighties movies you loved? Rhythmic Robots has another odd duck on its hands. Like Tomasz says, this will definitely give you the sound and feel of the 1980s. This is not a playback machine. It’s there for you to create your own sounds. Lush, inspirational digital stuff. Plus it’s fun to screw around jiggling with the controls. Writing a review for Synthulator is a bit difficult, as the more I use it the more I feel I have only just skimmed the surface. 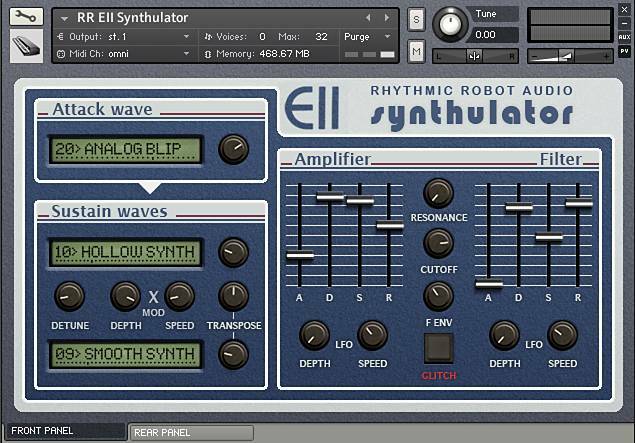 Let’s put it this way – Emulator had in its sample libraries besides the “real” instruments, a lot of those spectacular, futuristic sounds, expensive sounding, definitely synthetic, but very different from traditional subtractive synth sounds. Depeche Mode were particularly fond of these. The EII Synthulator brings in those sounds by the boatload only this time around they are properly tweakable. It is really hard to dial something that does not sound good with this library, it lends itself particularly well to polysynth, keys and digital bass sounds. And obviously pads. The funniest thing is whether you are just putting a piano attack on a pair of detuned pulses, or roping in the vocal and orchestral waves for a lush pad, all the sounds retain that 80’s digital feel – I am not sure if this is due to the EII imprint on samples, or due to the Lexicon reverb IRs, or both, but it sounds great. There are a few technical kinks – it would be useful to have the layer volume controls on the front panel (or at least mute buttons) and the Glitch button sometimes does not kick in on the first click, but considering the great sounds coming out of this thing, those can be overlooked.